Google is by far the most popular search engine in the world. Currently Google is involved in one of every two searches performed on the Internet. Most people I know use Google to search. Google has also become a verb now with people googling all the time. I have been running this website for almost 9 years now and right now 90% of my traffic comes from Google. If you have a website, its important that you understand how to tune your website for Google. This section of my website offers tips on how to improve your rankings in Google. Besides the search, Google offers other programs such as those listed below and my sites offers tips that should make your site more successful in case you are participating in those programs. Google Adsense - This is a program that allows publishers to publish Google Ads on their site and earn revenues. Google Sitemaps - Sitemaps allows users to specify all the links on their site and submit it to Google for inclusion in their index. A lot of "Google SEO Experts" will charge you money and make promises that they can get you the top position. I don't believe that such claims are truly possible for popular keywords and even if they do get you a top position you must understand which keywords they will use to get you the top listing. If they are getting you top position for your company name, then its no big deal. If they get you top position for your business keywords, then by all means pay them. I would even suggest that you hold back part of your payments till these promises come good. Here is a good read on this from Google itself. I have used all of the above Google offerings to increase the traffic to my website and earnings. 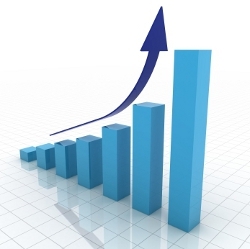 I have had a 10x increase in my traffic in the last 18 months and also have had a15x increase in earnings too. Look at the term "Famous Logos", "World Famous Logos", "India Jokes", "Bollywood Jokes", "India Careers", "Nike Logo" and you will find me on top or in the Top 5. I have learn't a few things about Google, purely based on my experience with the tools and I will share these Google tips for free on a regular basis. I don't claim to be an SEO expert but these tips should help you improve your site's position in Google. I have personally used to tips and seen them work. The changes you make will not push your ranking up overnight. Sometimes it takes a few months for the changes to happen so be patient with your changes. In some cases I have been able to quantify the difference it has made. Try these out, wait for a couple of months and you should see a difference. So why am I offering these tips for free when others are charging so much money for it? I personally don't think anyone should pay for it because they are just tips. If I was personally sitting and editing your sites then probably, I would charge some money. Also, these are tips that have worked for me and may not necessarily work for everyone so why charge some. If you do wish to thank me for these tips and if you are not a member of Adsense, then I would appreciate it if you signed up for Adsense using the link below. If you have a Google SEO tip, please submit it here. To blend or contrast that is the question!! Based on what I have read from a few blogs, there are mixed recommendations on whether to blend your ads with the content on your site or to contrast it. By blending, you make your ads seem like they are part of the content while contrasting makes them stand out. Its hard to say which method works and probably depends a lot on how your content is structured. Dinesh.com is primarily a blog and information site and most of my users spend time reading something and I have found that the blending method works best over the contrast method. This is probably because when someone is reading something they typically do not want to get distracted from what they are reading. I have managed to use the blend technique in the following way. Blend Background, Text and Hyperlink Colors - My website uses black text, black hyperlinks and white backgrounds and so I have made my ads use the same color scheme. I have met with some success in leaving the hyperlinks in blue and thats something you can experiment with on your site. Blend the fonts (family and size) - In order to give a seamless experience, its important to blend the fonts of your site and Adsense to give that seamless experience. Adsense currently supports Times, Verdana and Arial. I find Verdana the best for my type of Blog website and I have gone ahead and used the same font family and font size for my ads as well as my blog. Blend the reading layout - Most websites have left and right navigations/sections that read from top to bottom and the main content pane that reads left to right. I have tried to keep my ads to follow the same reading pattern. With most Google Ads getting the left to right is rather difficult because their ads formats run top to bottom. The new 728 x 90 format released in July 2010 somewhat achieves the left to right and I have seen good increase in click-through rates. Blend close to main reading content - The closer/deeply integrated the ad with your content, I think you have a better shot of improving CTR. Blending ads with your content is not against the policies of Google Adsense, unless you do something that Google prohibits. As usual, I recommend making the change and seeing the results 1-week before and after the change to determine the impact. When Google came up with their text ads, they were very successful because users seemed to click through at a higher rates over image ads. It was my belief that text ads would get a higher click through rate thereby increasing my earnings. In many of my ad settings, I had gone with text only ads but had to reconsider the setting based on the following email I got from the Adsense team. Our system analyzed your domain, dinesh.com, and found that you€™re not opted-in to image ads on at least 50% of the pages of your site. For example, we€™ve found that your 160x600 ad unit on dinesh.com/history_of_logos/worlds_best_brands_and_logos.html is only opted-in to text ads. We recommend that you opt-in to image ads for all of your AdSense ad units. We've found that our publishers who show both image and text ads are able to earn higher revenues. Opting into text and image ads increases competition among the ads competing to appear on your site, as both text and rich media ads (image, flash and video) will compete in the ad auction. 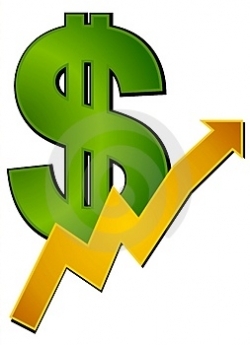 We will then automatically display the ads which will yield the highest earnings for you. I did change the setting and what I found was that with the image/text setting, my click through rate dropped a bit but my ECPM went up thereby my earnings went up. I would strongly recommend experimenting with this setting. Observe data for a week before and for a week after the change and make a decision. Each site is unique so you may get different results. This is not a tip that I would recommend to everyone but it can be useful under certain circumstances. Many times users do not spell certain words properly and if your website can take advantage of this, then you may be able to get traffic to your site. Having a site full of spelling mistakes compromises the quality of the site and this tip should be used with caution. Look at the example below. 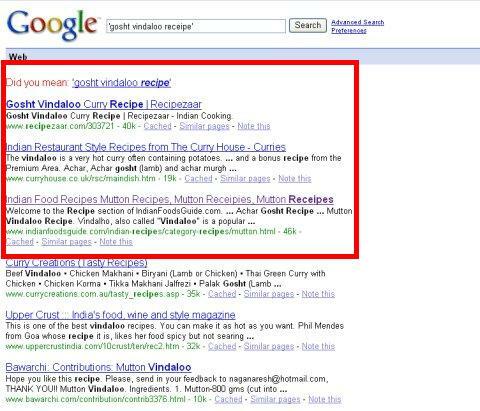 This is a food site and the word "recipe" is a commonly mis-spelt word "receipe", "recepie" etc. The site as you can see from the image below has all the typos in the title bar but does not compromise the quality on the rest of the page. You can see from the image below that this site gets a number 3 listing on Google when someone searched for the word "receipe"
Seems like a strange tip, Adsense is about SEO? A lot of people focus on tuning their ads to improve the click-through rate but if there is little to no traffic, there will be low earnings. The primary focus to improve your earnings should be to focus on tuning your site so that it shows up high on the search engine rankings. I have a section of the site dedicated to optimizing your site for improving your Google rankings. I was able to improve my trafffic more than 10 fold using the tips in that sections and it improved by earnings by about 10 fold as well. If you look at most of the sites, they usually have a left navigation, center content section and a right navigation area. My site is structured that way and I have experimented with ads on both the left navigation and also the right navigation to see if there was any difference in the click-through rates. Based on a few experiments, I have come to the conclusion that the ads in my left navigation performed a lot better than the ads on the right. I don't know the reasons why but there was a 2-3 time improvement in the click-through rate. Maybe its because English language sites are organized left to right and users may tend to focus their eyes on the left part of the screen rather than the right. How many times have you been to a site and seen a Google ad that was completely irrelevant to where you lived or worse, clicked on an ad and found that you are not eligible for the offer or promo because of the place where you live. Quite a few advertisers create Ads and target them to globally or nationally when their real audience is much smaller. 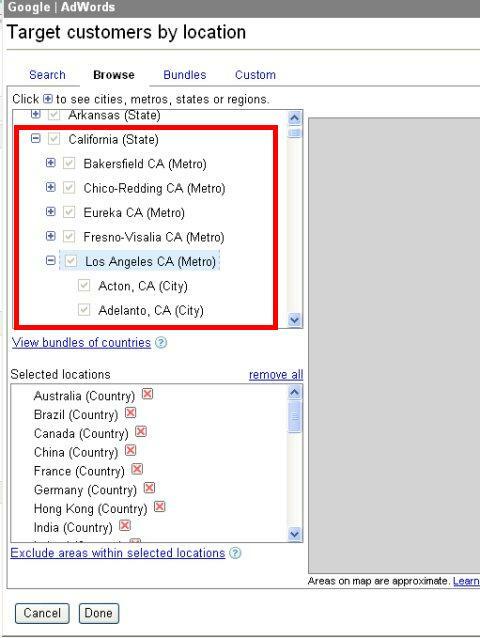 When creating an Adwords Campaign, you can specify which geographical location the ad should be displayed. The Adwords wizard shown the image below allows you to drill down to Country-> State -> Region -> City as you can see from the image below. The wizard allows me target United States -> California->Los Angeles-Acton. If you have followed Google SEO Tip #1, you would have already selected your keywords, Banjara Palace Restaurant - Tasty Andhra food in Malleshwaram Bangalore. Please read that tip first. Please read Tip #1 before proceeding. 2) This will also show up in image searches which means more traffic to your website. Also, if you have more than one image on a page, you can put variations of the keywords on each of the images. I would recommend that you keep this tip in mind when you are creating new pages with images. Tip #4 has to do with placing the keywords within an <H1> tag and that too as close to the top as possible. The objective of doing this is to highlight the main topic of the page. The downside of this tip is not to overdo the H1 tag. Google will actually delist/ban you from the index. I personally have only 1 <H1> tag on a given page. 1) Google may decide to use it in a future version of the algorithm (which is changing all the time). 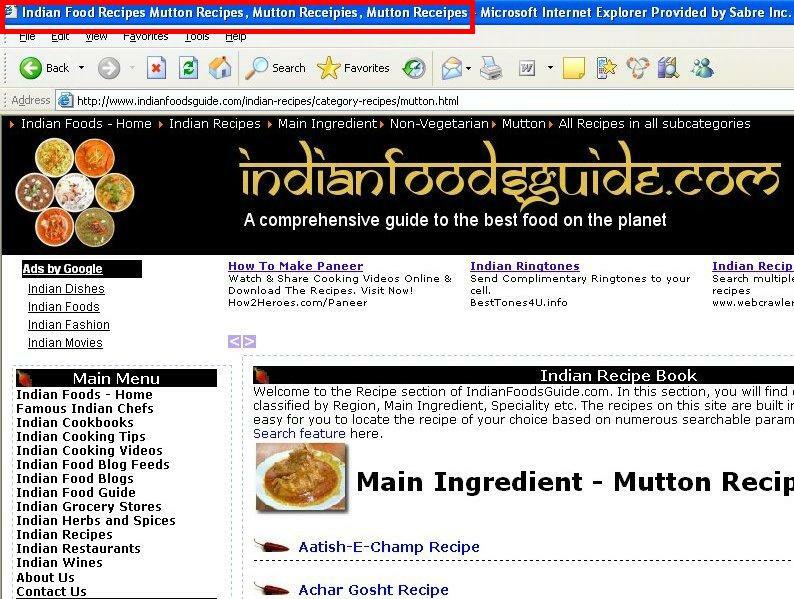 2) Adding these META tags may tune your pages for some other search engines.